It’s essential for affluent investors to engage an Investment Advisor who is truly dedicated to managing their wealth and ensuring their interests are front and centre. This is where we believe that Mount-Royal Wealth Strategies Group excels. Leveraging our unique combination of technical knowledge and genuine concern for our clients, we help high net worth professionals, executives, business owners and families develop a wealth management strategy that can address their short- and long-term needs. We begin with an in-depth discovery process so we can really get to know you – your current situation and your plans for the future, both financial and non-financial. By gaining this knowledge, we can determine your immediate and long-term needs, and leverage that insight to build a portfolio that will help meet them. Fuelled by a genuine interest in helping clients understand, articulate and meet their goals, we concentrate on delivering what matters most to them. At Mount-Royal Wealth Strategies Group, we are committed to providing our clients with superior service. From our very first meeting, we remain focused on gaining an understanding of our clients’ priorities, anticipating their needs, responding to their queries and assuaging their concerns. The team’s institutional background – which includes being on the front lines during the crash of 1987 and the 2008 financial crisis – has proven invaluable and plays an integral role in defining the investment philosophy that guides Mount-Royal Wealth Strategies Group. In short, we strongly believe that speculating on the markets is not an acceptable approach as it involves taking on too much risk. Instead, we invest for the long term, looking for quality investments and refusing to be swayed by the trends of the day. Drawing on our significant technical expertise, we find companies that we believe offer the right mix of profit growth and return of cash to shareholders that can assist with long-term wealth creation. Our advisory services are driven by our belief in bringing quality, value, patience and discipline to the investing process. By keeping the process simple and filtering out the noise and emotion often associated with investing, we strive to keep our clients on track and focused on their stated objectives. Through Mount-Royal Wealth Strategies Group, clients can access discretionary investing – an option that leaves the daily investment decision-making to us, so you’re free to focus on your other priorities. In exchange for one transparent, asset-based cost, we drive your portfolio, responding nimbly to sudden opportunities and risks. Our strategy is guided by the customized wealth management blueprint we develop; it is based on your objectives and financial situation and sets out the asset allocation and diversification of your portfolio. Ask us how you can benefit from discretionary investing today. We are dedicated to providing wealth management tailored to your specific objectives and personal financial circumstances. 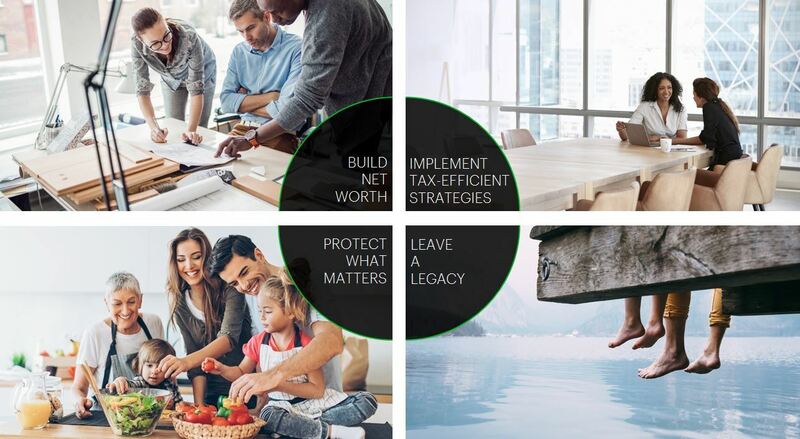 Through our client-focused approach – and working in collaboration with TD specialists where appropriate – we combine investment, wealth preservation, business succession and estate planning strategies that are most relevant to your situation. 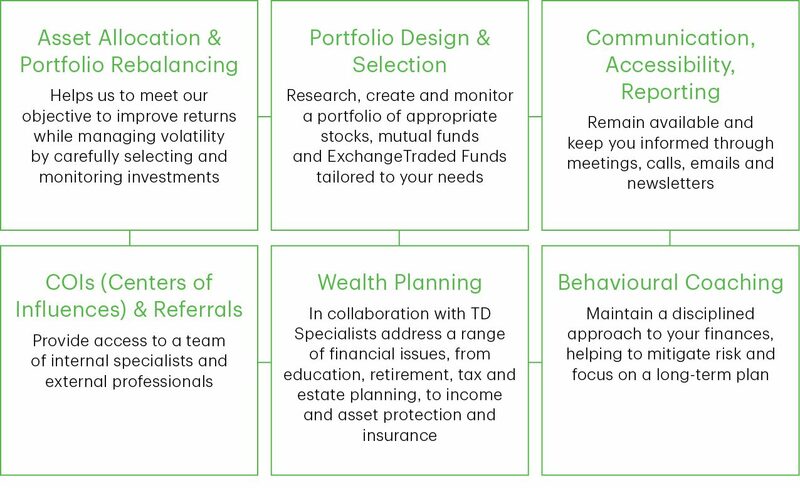 Mount-Royal Wealth Strategies Group is a part of TD Wealth Private Investment Advice, a division of TD Waterhouse Canada Inc., which is a subsidiary of The Toronto-Dominion Bank. 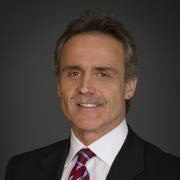 Michael has been working in the investment industry for close to 35 years and has been an Investment Advisor with TD Wealth Private Investment Advice since 2011. 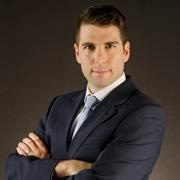 Early in his career, Michael worked in Toronto, New York and London, including three years in institutional sales trading, with primary focus on Germany and Switzerland. In his current position, he prides himself on providing a vital link between his clients and the world of investment and insurance strategies , professional money management and investment planning. Michael was educated at McGill University where he was a two sport athlete (Hockey and Football). He strongly believes that his athletic achievements helped him develop the discipline, focus and work ethic that have been instrumental to his success in the investment industry. Michael has been a member of the TD Executive Club* since 2011. In his time away from the office, Michael enjoys broadening his horizons by travelling with his 2 children. He is a competitive Tennis Player, Motorcyclist and Mountain Climber, and has summited 3 of the top 7 summits of the world. Michael is a member of the Mount Royal Tennis Club and the Montreal Amateur Athletic Association. *The TD Executive Club recognizes advisors who meet or exceed a specific a specific financial milestone.